Like the good Cumbrian bird that he is Number 14 keeps us all on tenterhooks. Having travelled 92 miles (148km) across the Bight of Bonny he has over four days only progressed 32 miles (52.6 km) to the west of his last position. 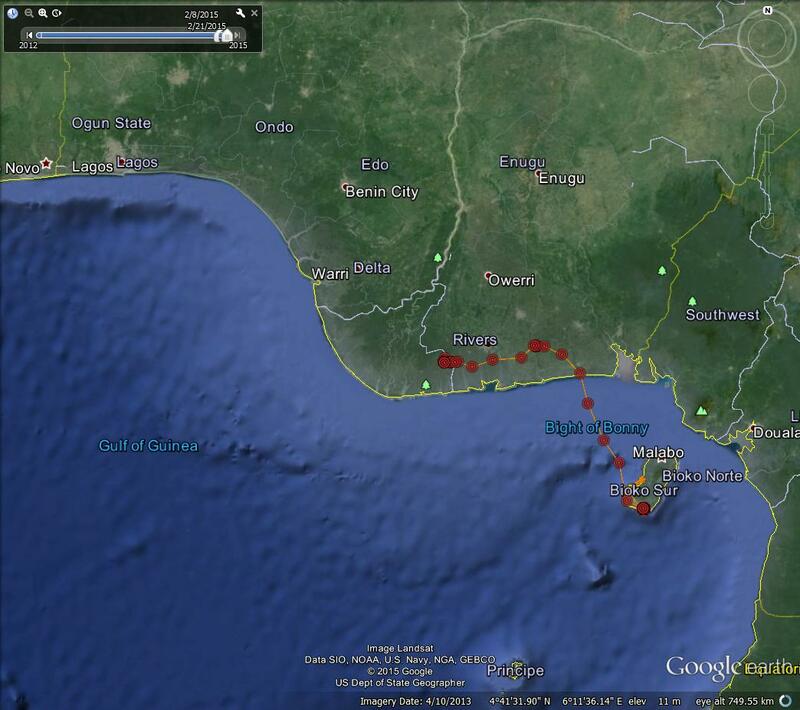 It is, however, the wetlands of the Niger delta that he is over, so no doubt very interesting territory for a young osprey. Lake District Osprey Project No.14 takes flight. As the snow flurries blow around your ankles think of poor old Number 14 with temperatures hovering around 29 degrees centigrade – but humid and stormy with it. 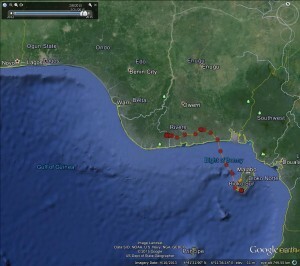 The interesting bit, however, is that as Chinese New Year brought in the year of the sheep our young bird has taken a trip over the Bight of Bonny to the Niger delta region. 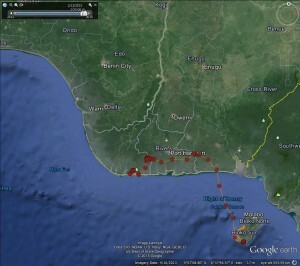 He roosted for a night north-west of Ataba and then continued west. 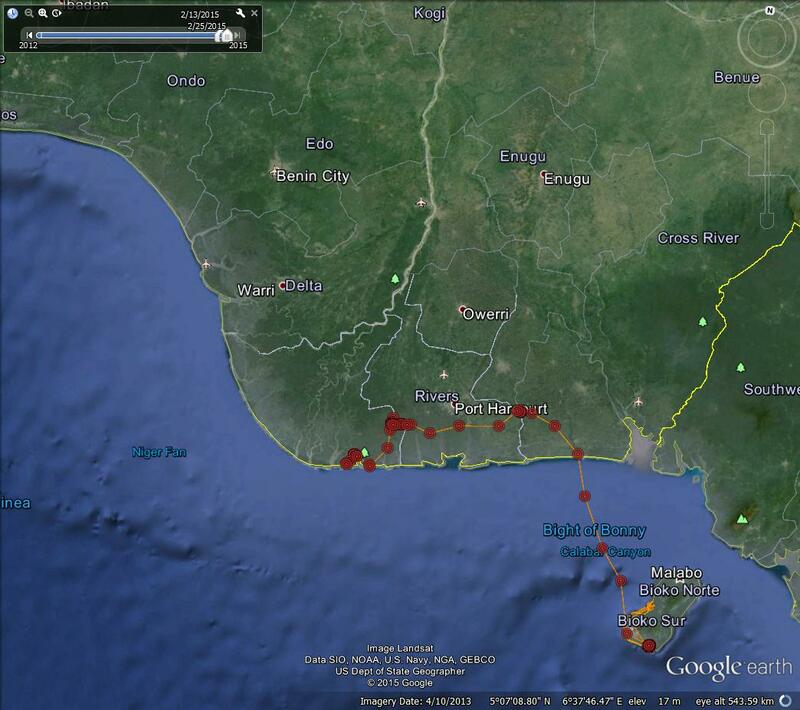 The next question is, will he now return to Bioko, as he did last February? Will he fly north to face the long route across the Sahara ? Or will he keep flying west towards Gambia and Senegal? Does he already have the sound of Cumbrian sheep in mind? We are out of hibernation – watch this space!